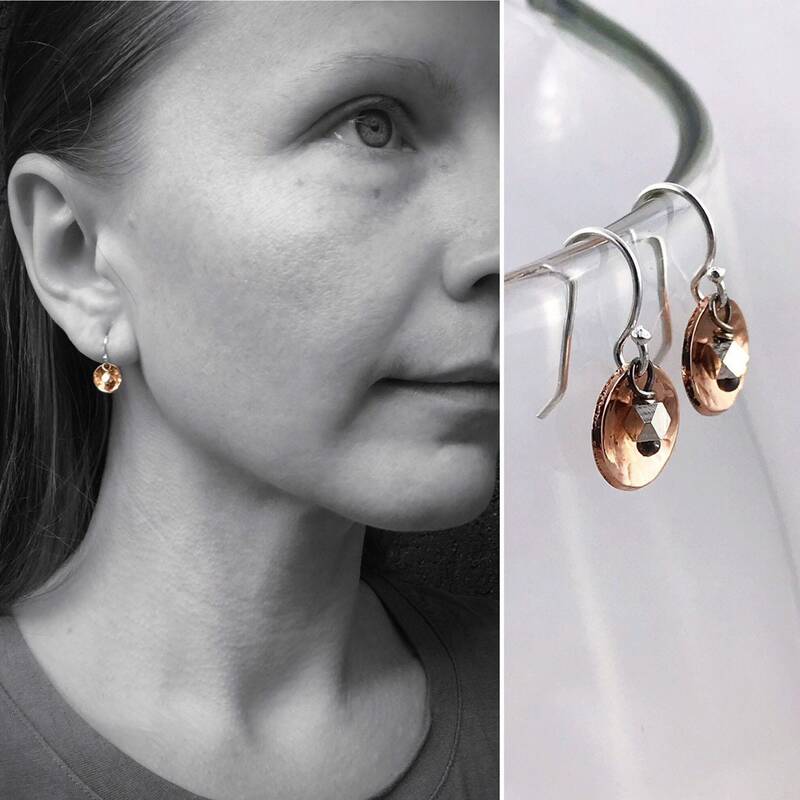 These elegant little copper concave disk earrings feature subtle hammered texture, beautiful light play, minimalist design, and mixed metal versatility with fine silver hexagonal beads nested in each disk. They wear perfectly for dress up or dress down and look amazing with just about anything. These just might be your new favorite wear everyday earrings. 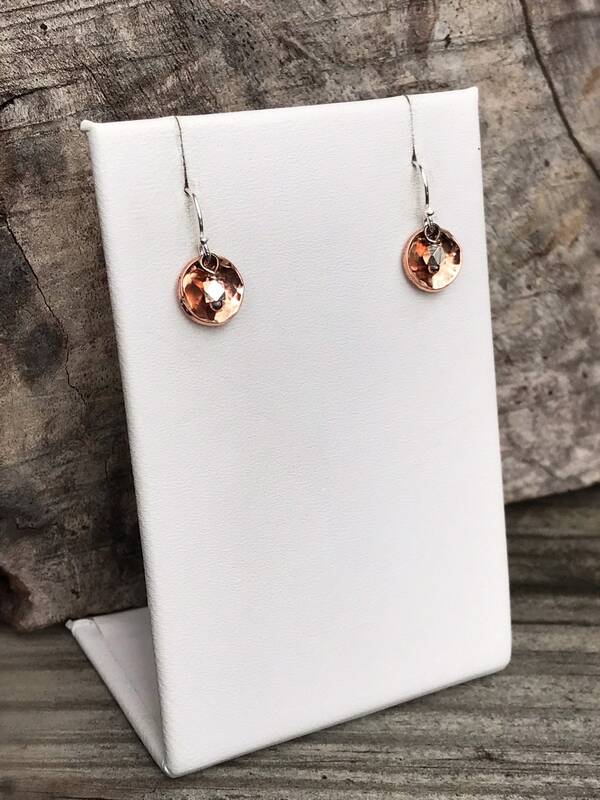 These earrings are made to order and no two are exactly the same, yours will be created just for you. 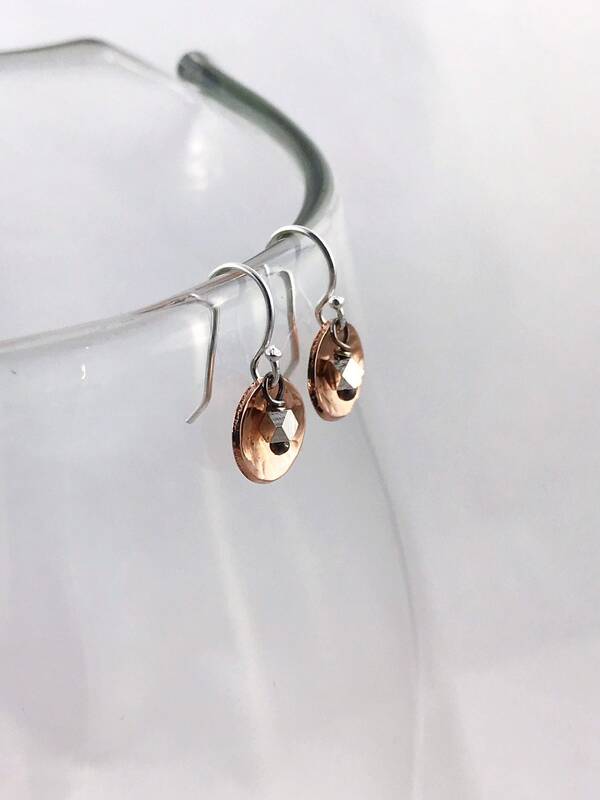 -Disks are 20 gauge pure raw copper about 9mm diameter (3/8") , hammer textured and formed into concave shapes with nice subtle texture which cup the silver beads and catch light. 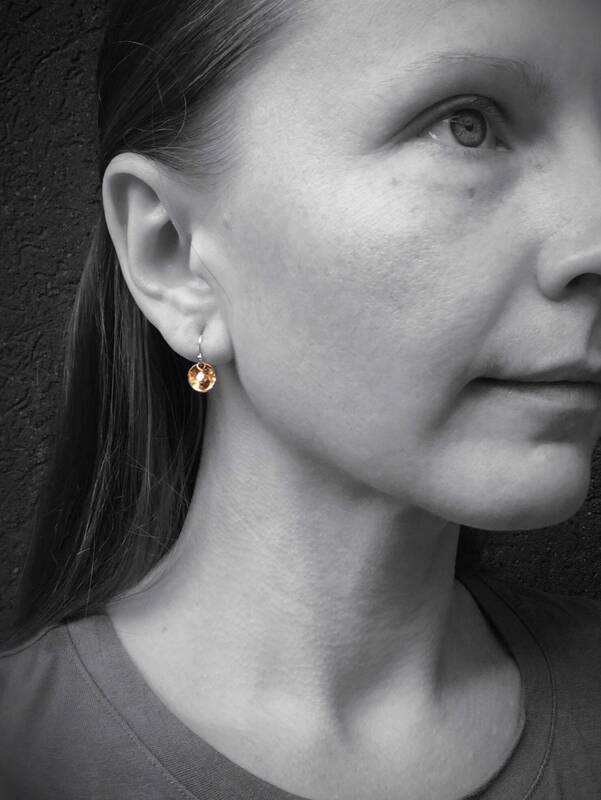 -A gorgeous little hand carved fine silver 2.5mm hexagonal bead dangles at the center of each disk from a fire torched sterling silver headpin. Headpin is left dark from fire torching to add contrast and visual interest. -Total earring length from top of hook to bottom of design is 18mm (just under 3/4"). Drop length from connecting point at bottom of hook to bottom of dangle is 9mm (3/8"). 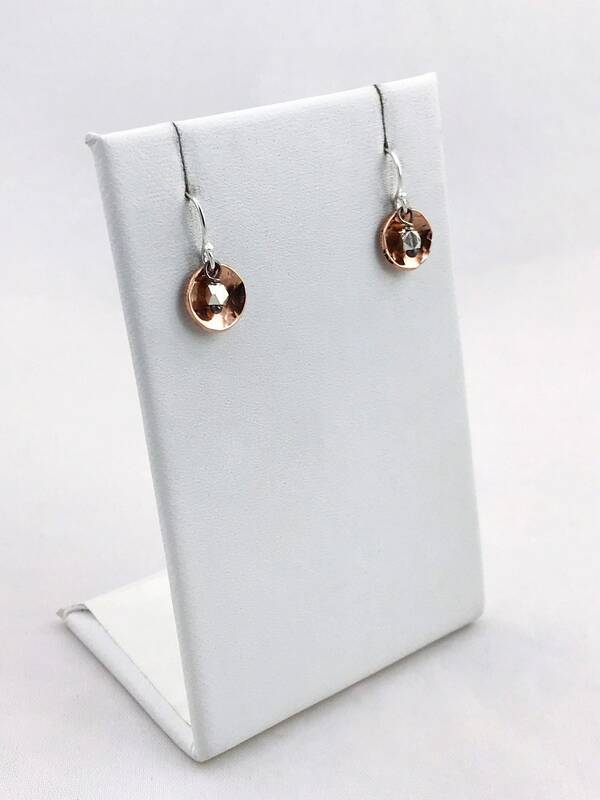 -Earring hooks are small solid sterling silver ball end ear wires. 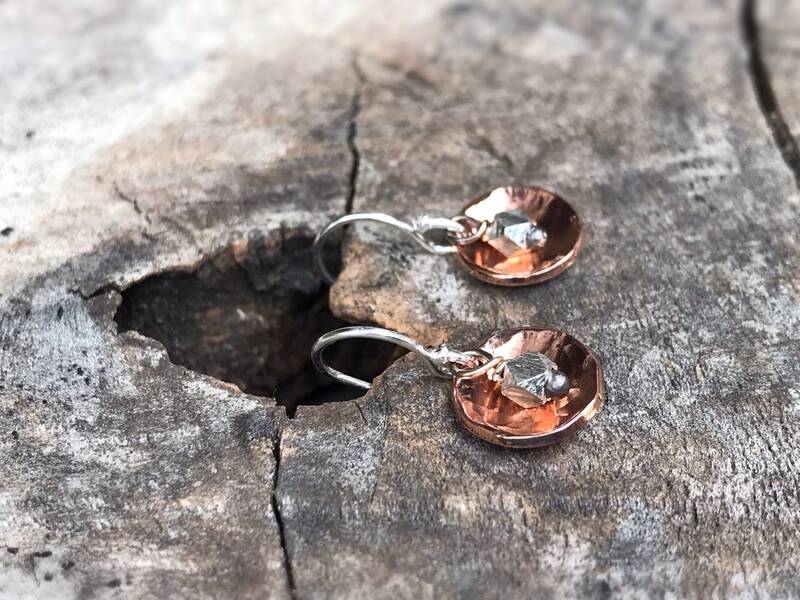 I named these the "Mini Gong" earrings because the shape and contrast make me think of tiny hammered copper gongs with silver mallets. 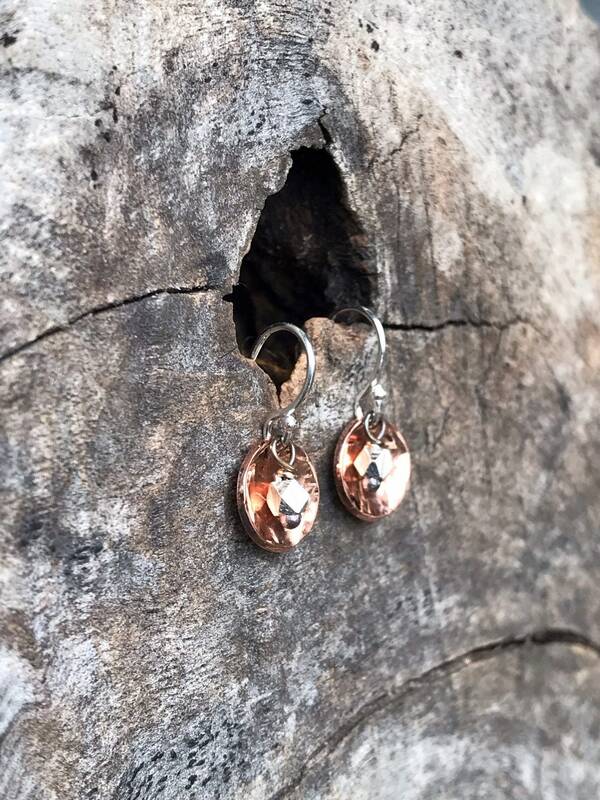 The copper in this design is pure, raw, solid copper. It is not treated, lacquered or coated in any way, so it will darken and develop a nice patina over time.